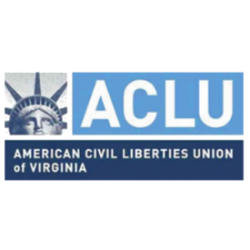 “After more than 40 years of the War on Drugs, we know one thing for sure – imposing harsh punishments on drug users hasn’t solved the problem, but does make people less likely to seek help in a medical emergency and has cost the taxpayers of the Commonwealth millions of dollars,” said Frank Knaack, ACLU of Virginia Director of Public Policy and Communications. “Together with a diverse coalition of stakeholders, including Commonwealth’s Attorneys, law enforcement, and impacted families, Delegate Betsy Carr and Senator Chap Peterson led the fight to protect Good Samaritans and individuals who have overdosed from prosecution when they call for help. Establishing a defense to criminal charges instead of protection from arrest in the first place isn’t the most effective approach, but it’s a start,” said Knaack. 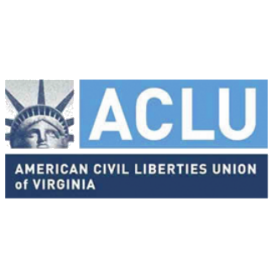 “We also appreciate Senator Mark Obenshain’s and Delegate Todd Gilbert’s work to expand access to naloxone, a drug that can reverse the effects of an overdose and save lives. The next step is to make naloxone even more widely available, underscoring that saving lives should always be the priority,” Knaack added. SB 892 (Peterson, D Fairfax) and HB1500 (Carr, D Richmond City) establish a good Samaritan defense for someone who seeks or obtains emergency medical attention for himself or for another individual because of a drug- or alcohol-related overdose (if the evidence for the charge was obtained as a result of the individual seeking or obtaining emergency medical attention). SB 1186 (Obenshain, R Harrisonburg) and HB 1833 (Gilbert, R Shenandoah) authorize, subject to regulation and standing orders, a first responder, a member of an emergency medical services agency, or a law-enforcement officer to possess and administer naloxone to a person experiencing an opiate overdose. Naloxone is a prescription drug that, when administered in time, can temporarily reverse the effects of an opioid overdose, thus providing time for the victim to receive medical attention. As the CDC has reported, between 1996 and 2010 naloxone successfully reversed more than 10,000 overdoses.